Alexandra Kohl is a textile artist specializing in weavings using cotton and horse hair sourced from an equine rescue farm called Our Farm in North Salem, NY, that rehabilitates and re-homes unwanted horses. Her minimalist aesthetic is inspired by the meditative pace of hand craftsmanship, and the union of plant and animal textures. Her pieces radiate a stillness and strength that is reminiscent of both Agnes Martin and Anni Albers, but her style is wholly her own. Starting out in London and now operating out of Brooklyn, Bellocq Tea offers carefully selected, single-origin teas from estates in China, Japan, India, Nepal, Taiwan, Sri Lanka, Vietnam, and Malawi. Their teas are full leaf and almost entirely organic, sourced from high elevation gardens. Several months a year the founders, Heidi Johannsen Stewart and Michael Shannon, still travel abroad to revisit estates, source new teas, and ensure the quality behind the tea’s cultivation and its processing. Demy Lee first launched her eponymous sweater line in 2007, after studying at Parsons School of Design and working at Calvin Klein and GAP Inc. 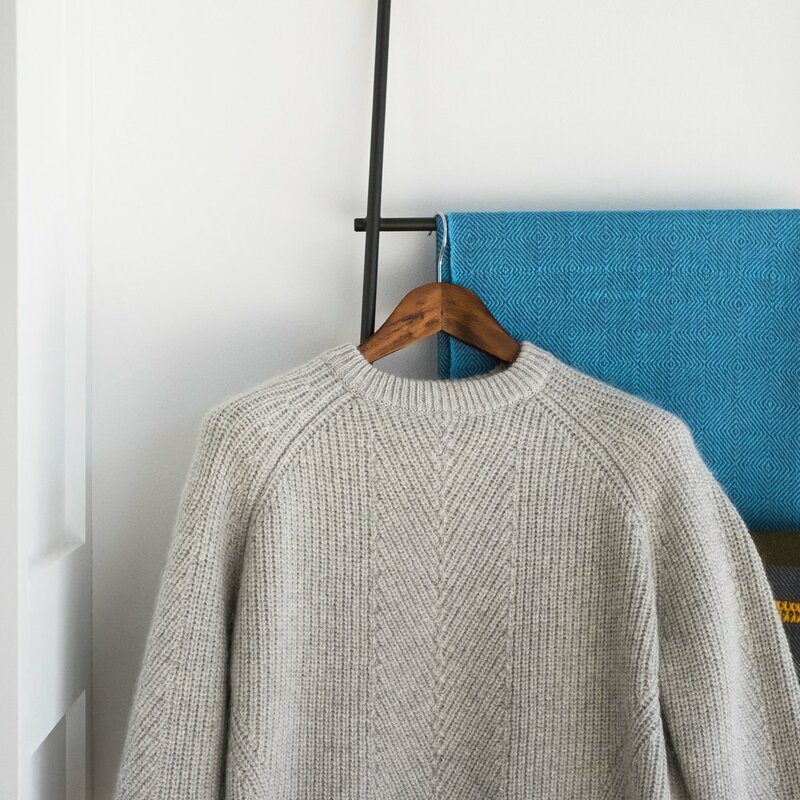 Her first line was a collection of premium cashmere, and has since grown to include cut & sewn knit and woven essentials for women, as well as a men’s collection. Her work is luxurious, versatile, and fills a niche in the industry for classic yet current knits. She says of her inspiration, “I wanted to design what I appreciated most in my own closet. Something I reached for everyday, sweaters.” She works out of her design studio in New York City, where she also raises her two daughters. Jim works with raw materials—coal, rubber, leather, and steel—to create functional furnishings that give off a wildly creative and industrial feel. Zivic has created work collected by private and commercial clients such as Lou Reed, Yves Saint Laurent, Yoji Yamamoto and Tom Ford and is recognized in both the art and design communities as an innovator of materials. On working with one of his favorite natural materials, Zivic expresses, "I could work with it for the rest of my life. I love shaping and wet polishing it! It’s brittle but soft, when honed it looks a lot like graphite…silvery and gorgeous. It’s so weird and wonderful – what the hell are we burning it for?! I’m a very tactile, sensual person so it works for me, but it’s also the history which makes it such a great material, it really digs into our industrial heritage. Steidl books came about in 1967 when its founder, Gerhard Steidl, started printing posters for art exhibitions, which he soon expanded to include German literature along with translations from French, English and Icelandic. In 1996, Steidl started his own photo book program, which has grown to include some of the most renowned photographers and artists from around the world. His press (in Göttingen, Germany) publishes more than two hundred photography books a year, and Steidl oversees the production of all of them personally. Susan Paulsen's photographs contain a visions of ordinary objects made preternaturally interesting, and infused with charm. Her work is both painterly and dream-like, yet rooted in the every day experience of family, heritage, and place. Paulsen has had solo exhibitions at Maison Européenne de la Photographie (Paris), Deborah Bell Gallery (New York, NY), and Arkansas Art Center (Little Rock , AR). She has published three books of her photography with STEIDL: Tomatoes on the Back Porch (2005), Sarah Rhymes with Clara (2011), and Wilmot (2012).